The Association franco-yukonnaise (AFY) and the 98 Hotel are getting together to feature French-speaking artists with new musical evenings from 8 pm onward. Bring your friends and spend a fun evening in one of Whitehorse’s most mythical places! 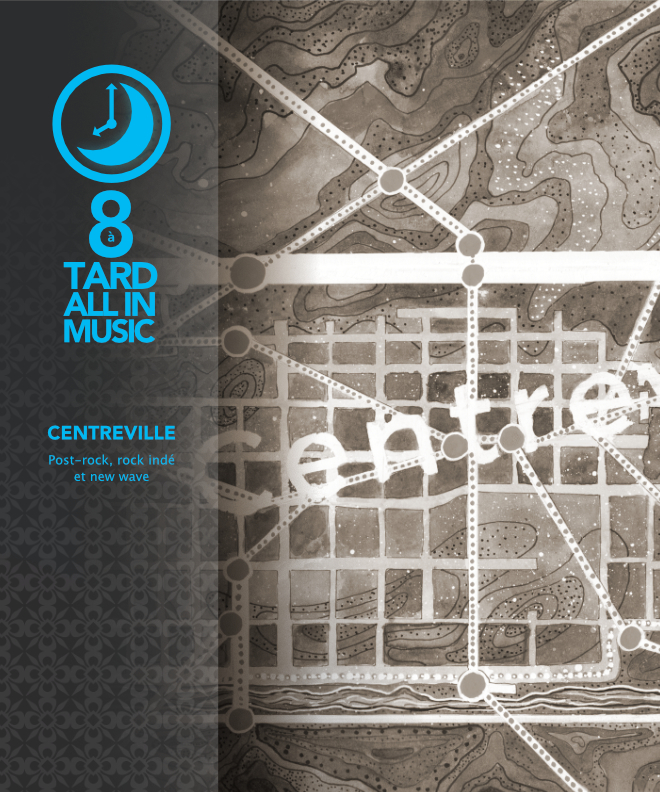 Centreville is a new four-piece post-rock, indie rock and new wave band based in Whitehorse. Originally from France, Jerome (vocals, guitar, samples) and Cecile (analog synthesizer, vocals) bring a distinctly European sensibility to the composition and sonic landscape. Jordy (drums) and Micah (bass, keyboards) meet these intricate textures and melodies as a punchy and melodic rhythm section and the sum of the parts is wiry and focused along the lines of Blonde Redhead, Tortoise, Stereolab, and Efterklang.